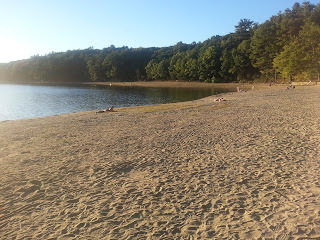 The Walden Pond Reservation is located in Concord and Lincoln, Massachusetts. 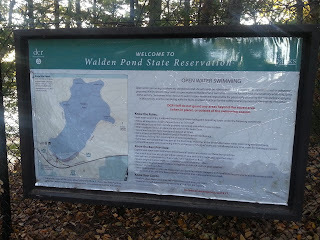 The reservation's principal feature is Walden Pond, a 64.5-acre fresh body of water. 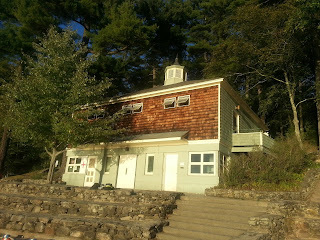 The writer, transcendentalist, and philosopher Henry David Thoreau lived on the northern shore of the pond for two years starting in the summer of 1845. 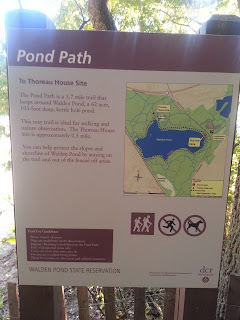 His account of the experience was recorded in Walden; or, Life in the Woods, and made the pond famous. 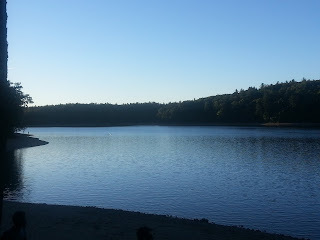 Boston's "Ice King," Frederic Tudor, harvested ice yearly on Walden Pond for export to the Caribbean, Europe, and India. 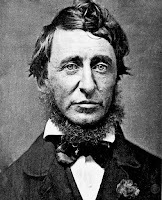 In his journal, Thoreau philosophized upon the wintry sight of Tudor's ice harvesters: "The sweltering inhabitants of Charleston and New Orleans, of Madras and Bombay and Calcutta, drink at my well ... 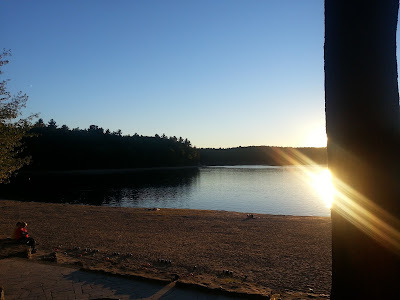 The pure Walden water is mingled with the sacred water of the Ganges." 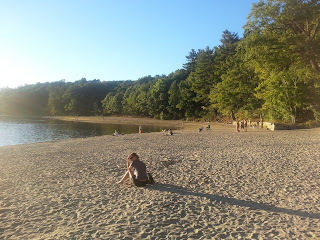 In addition to being a popular swimming destination in the summer, Walden Pond State Reservation provides opportunities for boating, baptizing, hiking, picnicking, and fishing.